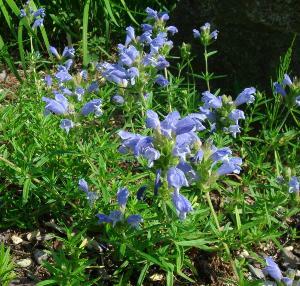 Dracocephalum argunense Fuji Blue is a low growing plant with a long flowering season ideal for the front of borders or pots. The plant forms a low mound of narrow needle like deep green leaves. 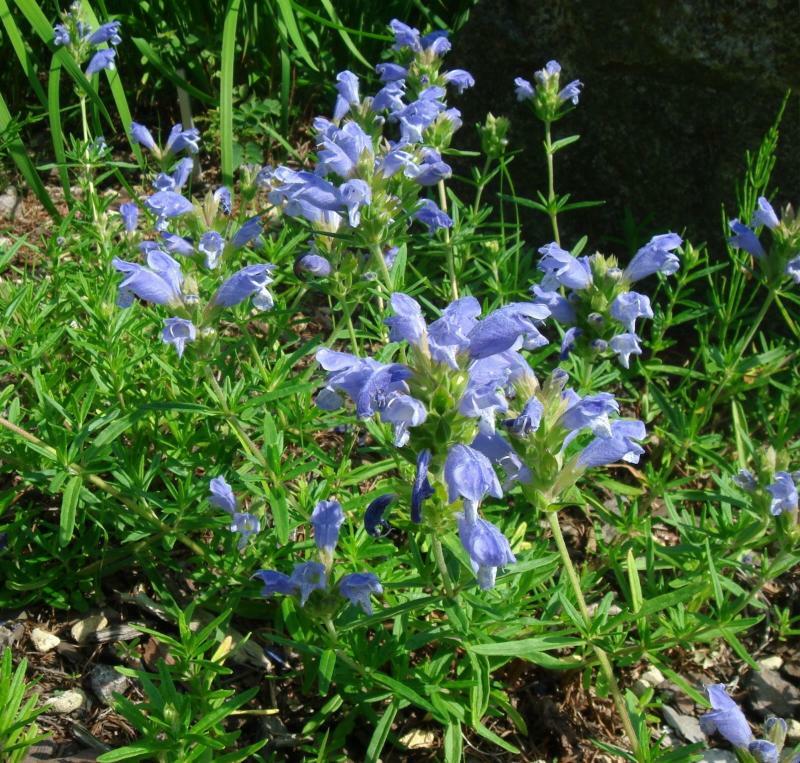 Throughout the summer tubular deep violet blue flowers appear, each flower edged in soft blue. Easy to grow. 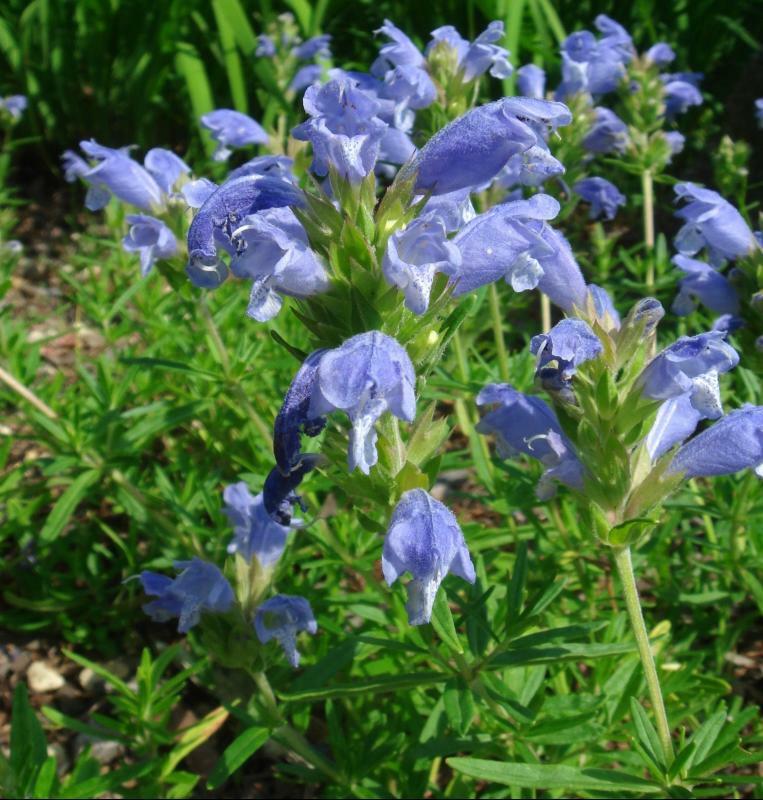 Grows in full sun or partial shade, and is a fabulous pollinator plant.